Skin By Kim ARE YOU A VENDOR? 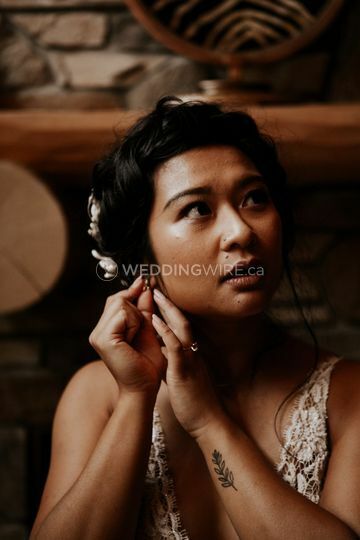 Operating out of Montreal, Quebec, Skin by Kim, is a freelance on-site makeup artist that provides looks for weddings, media companies and fashion photographers. She studied at the Inter-Dec college and has assisted numerous successful and senior artists. Kim feels the experience is just as important as the end result and aims to create a fun and enjoyable atmosphere. This magnificent mobile makeup artist offers consulations, makeup looks for brides-to-be as well as her party. To ensure client satisfaction, she also provides trials. Kim specializes in airbrushing, contouring, false lashes and tattoo coverage. 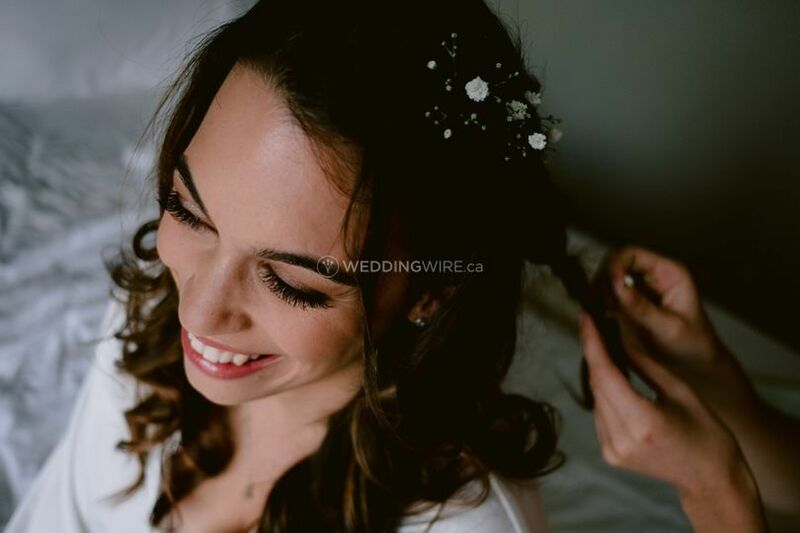 This company began after Kim would hear complaints about brides not feeling comfortable in their makeup which inspired her to provide a more positive service. 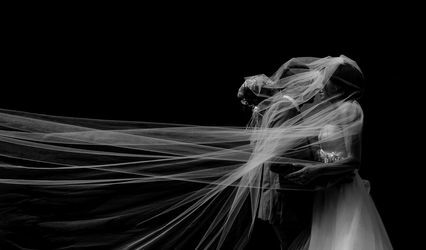 A future newlywed should not just look great but also feel completely amazing. Beauty begins from the inside and goes outward. Kim was amazing!! She made everything so enjoyable and relaxed. People said my makeup was stunning and I was feeling very confident and beautiful! Kim was professional and helpful with ideas for my attendants and myself and she accommodated everyone. I don't wear much makeup regularly, so I was looking for a MUA who was skilled in making skin glow - a very clean, 'natural skin', 'my best self' look. 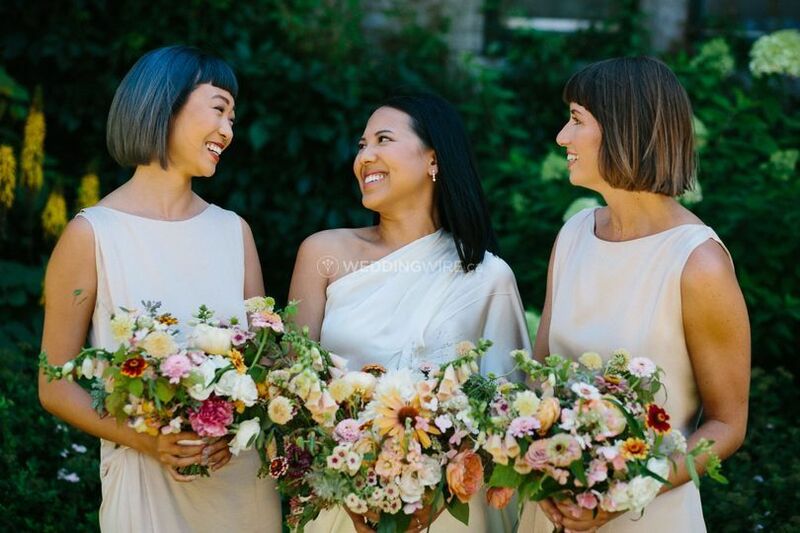 After looking through a ton of online portfolios (for wedding and non-wedding makeup artists), I reached out to Kim in December 2016 and was welcomed with a very quick and warm response. We scheduled a trial for shortly after and she trekked to my home on the day of the craziest blizzard! Love her dedication. Kim was so friendly and warm, making me feel totally at ease and trusting her skills and vision based on what I had described to her. 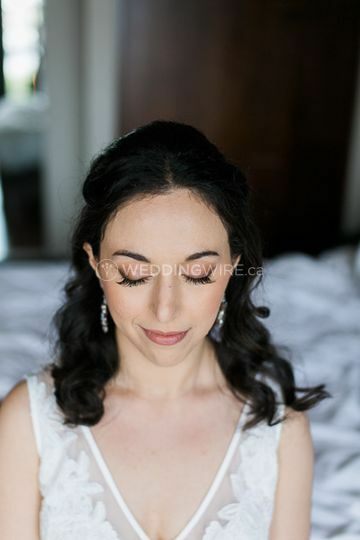 I had the opportunity to have makeup trials with two different MUAs and showed the pictures to friends, family and my fiancée - we unanimously thought that Kim's makeup was exactly what I was looking for on our wedding day. 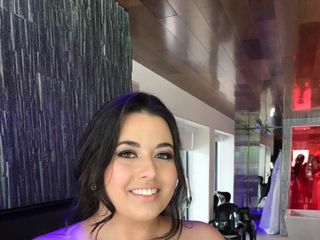 On the day of the wedding, Kim was right on time and also did makeup for two of my bridesmaids. 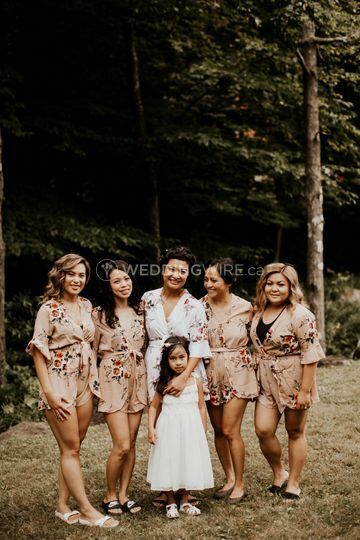 I've never seen either of my bridesmaids in full makeup and they looked amazing! Definitely their 'best self' look. 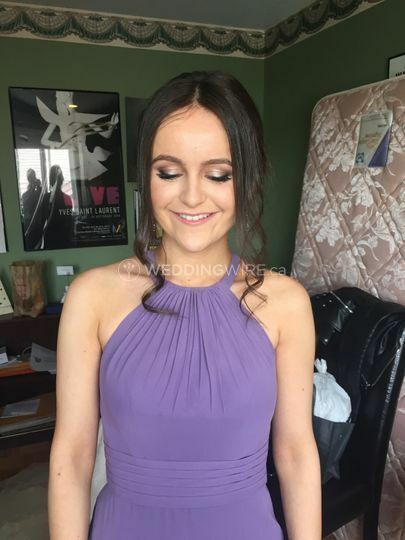 I had both my hair and makeup done; Kim replicated and even improved upon the look that we trialed. She also provided touch up lip kits for all of us. Each of our looks lasted the entire night. It was perfect! I would not hesitate to recommend Kim to anyone. Should I have the need for professional makeup/hair again, I will most definitely reach out to Kim again. Kim was amazing in terms of her work, personality and professionalism. She's a pleasure to deal with and understands any clients' needs. 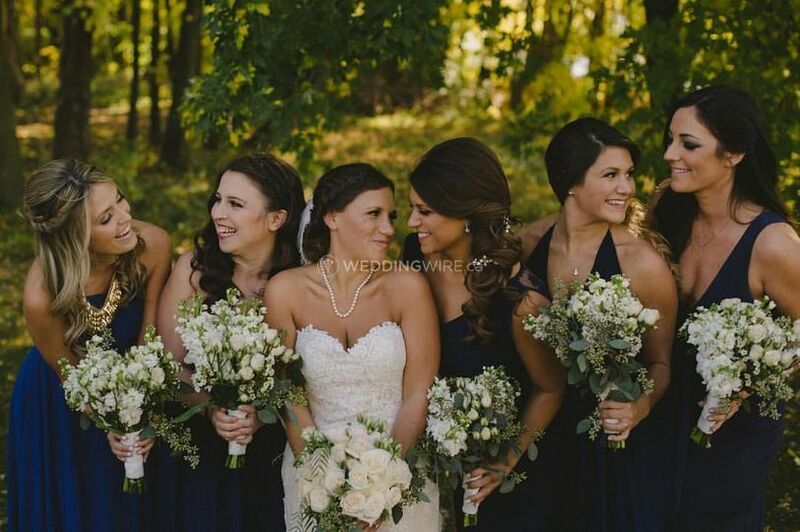 Not only was I happy as a bride but so we're all my bridesmaids. Kim is a very talented woman with a beautiful personality. Kim first did a trial look at my house before my wedding. I never wear make up and was really nervous about it but Kim made me feel so comfortable and gave me a look that was still me, just polished! It was amazing, I even tried false eyelashes, and LOVED it! On my wedding day Kim also did make up for my bridal crew, some friends and family. She was extremely professional and everyone loved her and their makeup! Kim, thank you for making our day even more special then I ever imagined it to be! !